Deliver pure passion! 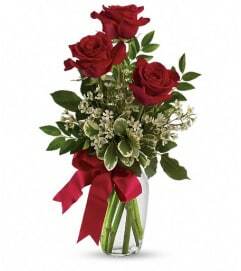 This striking bouquet of a dozen, long stem red roses arranged in a exquisite sparkling glass vase is the ultimate gift of love. 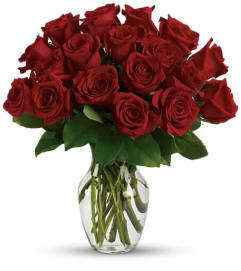 This gorgeous arrangement includes twelve long stem red roses accented with fragrant lemon leaf. 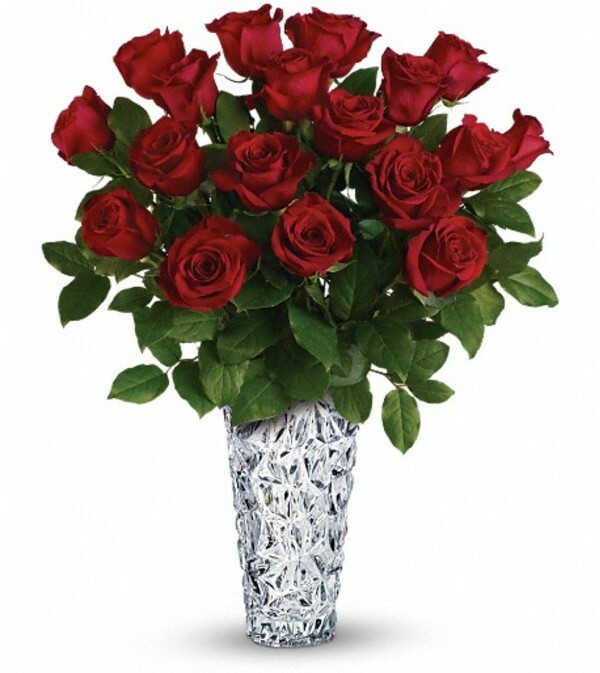 Delivered in a Sparkling Beauty vase.